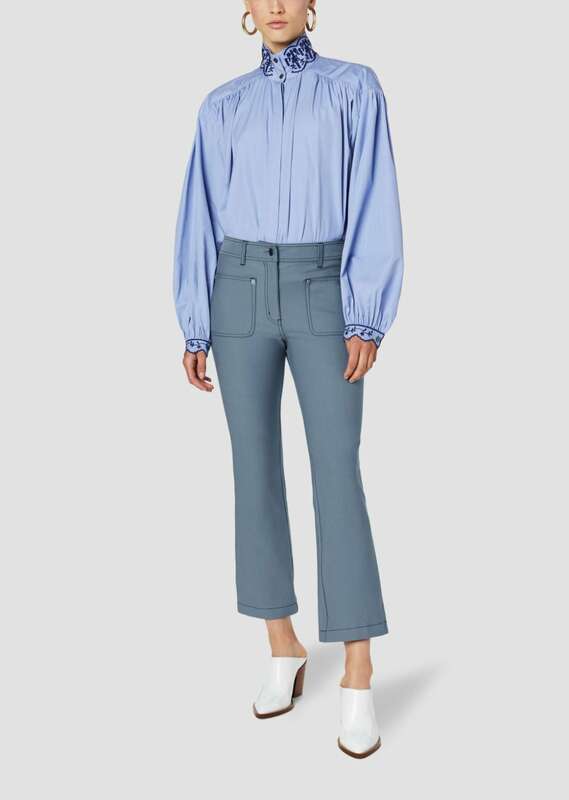 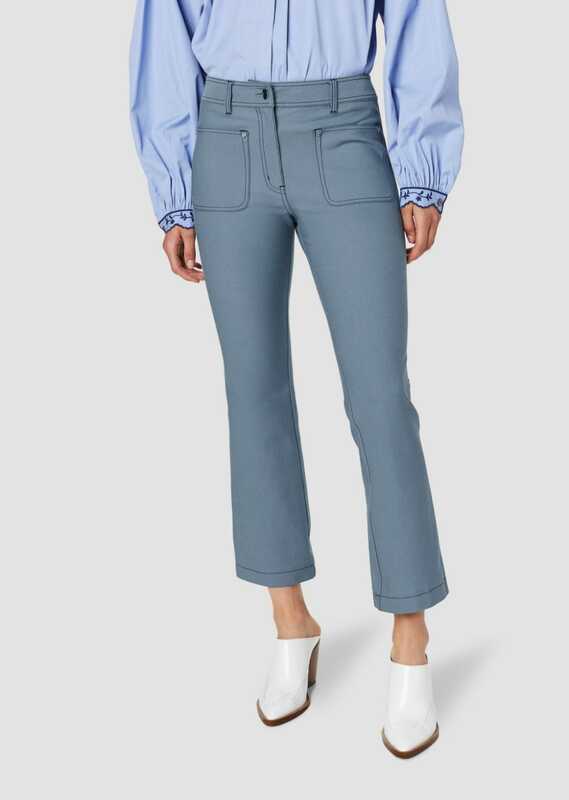 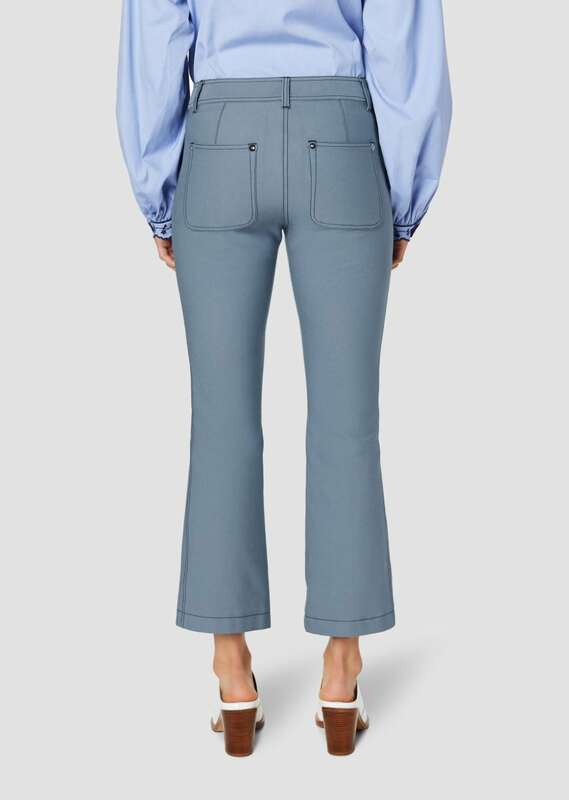 Cropped flare trouser in washed blue cotton twill with topstitch detailing and patch front pockets. 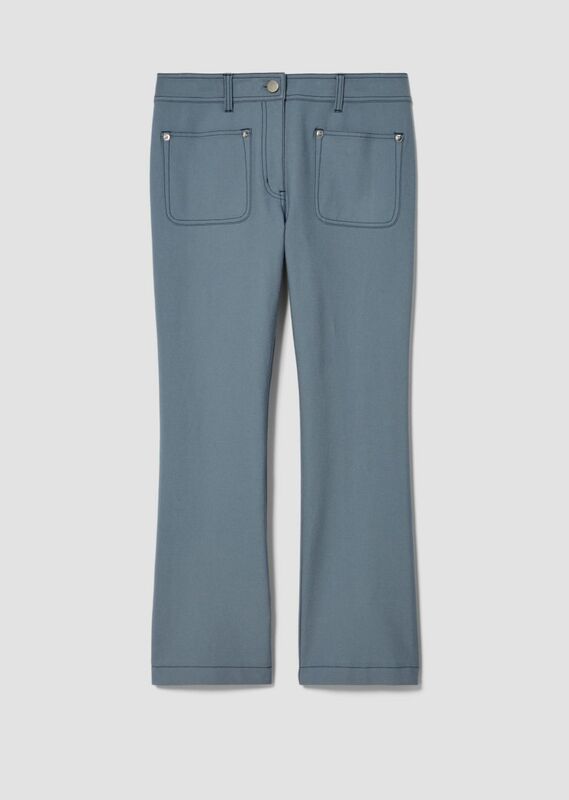 Zip fly with concealed button closure, tonal belt loops. 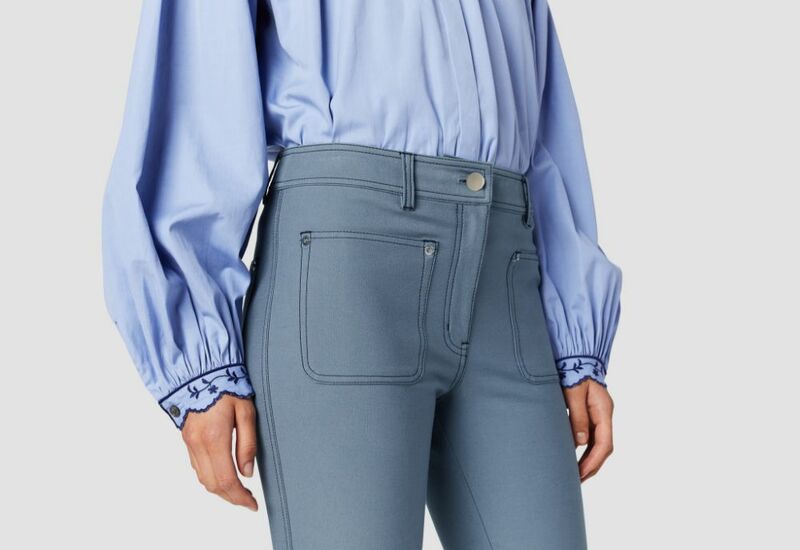 Flat silver-tone rivets.